Milionis Forest Hotel, the first hotel of Grevena Town! 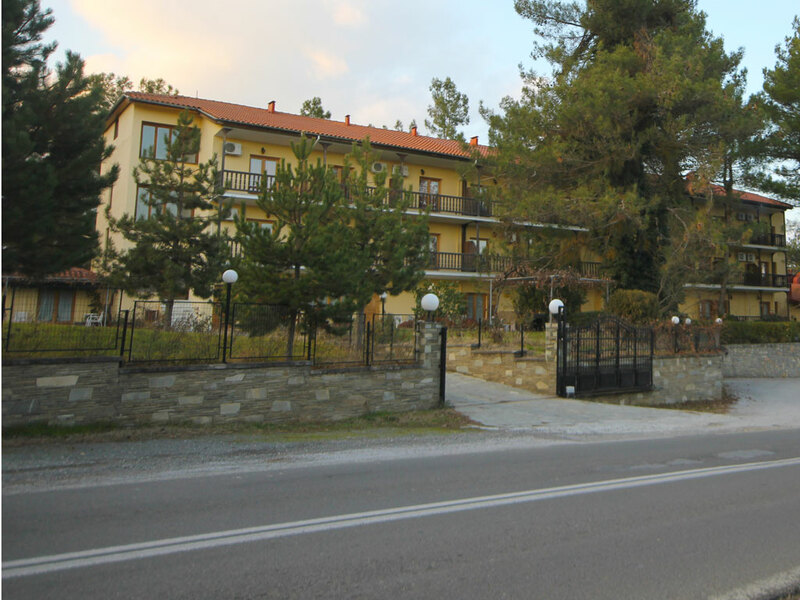 The hotel is located on the Grevena-Kalambaka national road, 1 km before Grevena Town, on a 421 km distance from the city of Athens and on a189 km distance from the city of Thessaloniki. - From Athens the driving time to the hotel is 4 hours and the best route is via the National Road of Athens-Lamia, then at Lamia exit towards Domokos and then towards Trikala-Kalambaka destination. Staying at Milionis Forest Hotel, ensure for a convenient access to the town of Grevena and any requirement of basic or first aid needs, especially for families with children. There is also convenient access to the ski resort of Vasilitsa, the Valia Kalda National Park and all valleys, caves, bridges, rivers and mountainous villages around Vasilitsa and Pindos mountain range. The region of Grevena is part of the Pindos mountain range and is characterized by the vast forests of coniferous trees and the natural waters running from the snow-capped mountain peaks. The area is mountainous with deep green forests (Pindos-Valia Kalda, Valia Kirna), river valleys (Aliakmon, Venetian) and abundant fauna and flora. Nature is interwoven with the culture and history of Grevena Town, making an attractive destination for tourist activities in pure nature. The fauna is characterized by the presence of large mammals such as wolf, bear, wild boar, deer and chamois. The area of Vasilitsa is included in the national list of protected areas network (Natura 2000). The mountain streams in the region are remarkable for the big numbers of mountain trout, while Drakolimni lake is remarkable for its alpine newts. The subalpine meadows of the region are important areas for raptors.